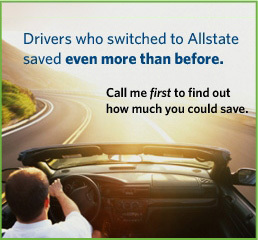 From auto insurance to retirement solutions—learn more about the Allstate products that may be right for you. Then, contact me for the assistance and service you deserve. Our independent agency is dedicated to providing extraordinary service to our customers. We strive to meet your expectations by providing access to our services through an office visit, 24-hour telephone access and through this site. We are in the business to render the best possible service to our customers and develop long-term relationships within the community.